Food preservatives, such nitrates and nitrites, found in processed meats might trigger migraines. Such additives can be found in hot dogs, ham, sausage, bacon and lunch meats, experts say. A 2014 study published in the Journal of Neurosciences in Rural Practice found that people with migraines are more vulnerable to migraine-like hangover symptoms after consuming alcohol than those who don’t have migraines. Sulfite, a preservative sometimes added to wine, might explain this link to migraines. 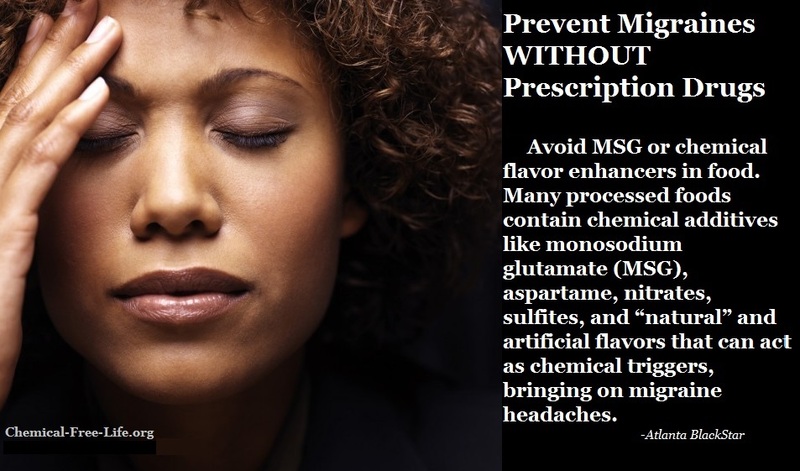 Monosodium glutamate (MSG) is the sodium salt of the common amino acid glutamic acid, and it is often considered a link to migraines. It can be found in soy sauce, canned vegetables, soups and processed meats. Journal reference: Gonzalez A, et al., 2016. Migraines are correlated with higher levels of nitrate-, nitrite-, and nitric oxide-reducing oral microbes in the American Gut Project Cohort, American Society for Microbiology. mSystems 1(5):e00105-16. doi:10.1128/mSystems.00105-16. Food additives: Avoid nitrates/nitrites and monosodium glutamate (MSG) additives. Nitrites/nitrates are commonly added to processed meats such as hot dogs, bologna, sausages, pepperoni and many more. MSG* (both added and naturally occurring) is frequently contained in a wide variety of processed foods including soups, sauces, canned/boxed prepared meals, some milk products and cheeses, nondairy creamers and salad dressings, snack foods, soy sauce, and many, many more food items.